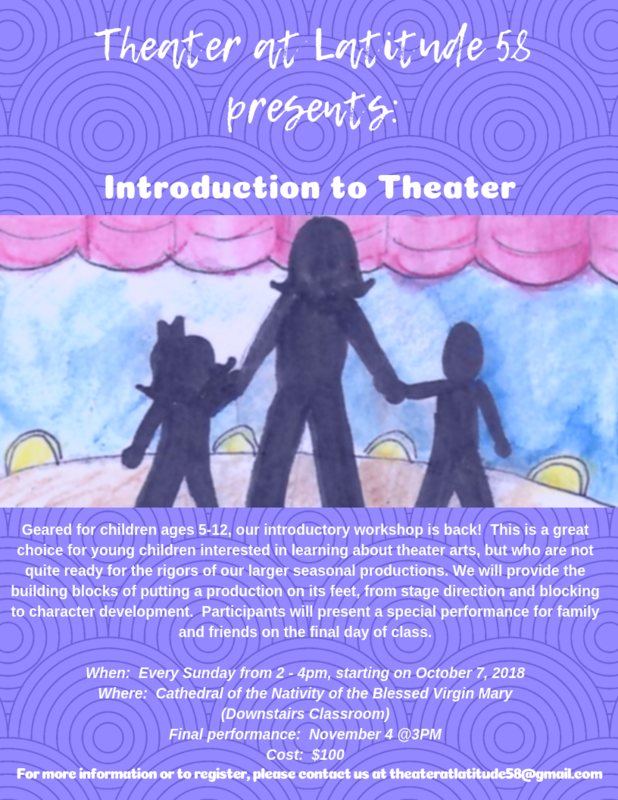 Join us for an Introduction to Theater for ages 5-12! Where: The Cathedral of the Nativity of the Blessed Virgin Mary – downstairs classroom. This entry was posted in Private Blog, Public Blog and tagged ages 5-12, Intro to Theater, Introduction to Theater, workshop. Bookmark the permalink.